I wasn’t so worried about the kissing because it isn’t so different from working with male co-stars. First-timer July Jung’s A Girl At My Door, which premiered yesterday in the Un Certain Regard sidebar at Cannes, was produced by two-time Palme d’Or nominee Chang-dong Lee (Secret Sunshine and Poetry). The film is given heart and soul by a magnetic performance by Doona Bae (now internationally recognized for her role in Cloud Atlas) as a young policewoman whose compassionate nature sees her seeking to protect a young teen girl from physical abuse. Young-nam (Bae) is the newly appointed chief of a small town police station by the coast, sent there from Seoul after unspecified domestic issues. She tries to be polite, keep a low profile, and tolerate the drunken excesses of some of the locals, though at home she drinks heavily herself—decanting booze into water bottles and finding alcohol the only way to get a good night’s sleep. The real drama comes into her life in the form of Dohee (Sae-ron Kim), a timid and withdrawn 14-year-old covered in cuts and bruises, who’s bullied by schoolmates and beaten by her alcoholic stepfather Yong-ha (Sae-byuk Song). The film spins into unexpected territory when Young-nam’s ex-girlfriend rolls into town and she’s investigated by her own force after Dohee makes accusations that she had been sexually abused by Young-nam while under her care. What were your first impressions of the material? 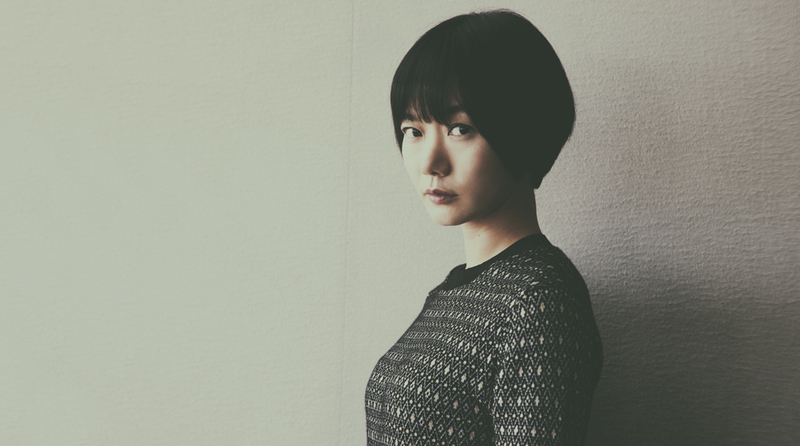 Doona Bae: I thought it was so brilliantly written. There are a lot of blanks to fill when it’s just on the page and that makes you imagine what could be possible as well. I remember thinking, “I hope I can meet this director one day” because she seemed so obviously brilliant. That was my first thought and this was her first film. I responded to the loneliness of the character and could easily get into it. Sae-byuk Song: When I first read the screenplay, it was the setting that fascinated me most because I could visualize the colors of the ocean, the fields, the mountains, not to mention the atmosphere full of waves and winds. How could such a rough journey take place in such a fantastic, beautiful land? That’s what attracted me. The script was very easy to understand, yet very detailed. All the lines and directions were written right there on the page in a very specific way. Where is this seaside town and how long was the shoot? D.B. : We shot this for six weeks? S.S.: I think that sounds about right. D.B. : You could almost say that this was entirely shot in one or two locations in the southern part of Korea called Jeolla-do, which is one of many islands down there. These individual roles demand so much from the actors, both mentally and physically. What were some things that you were most concerned about? And what were you most excited to explore? S.S.: I want to start by telling you something funny that happened with Doona behind-the-scenes. It was early in the shoot where Yong-ha is abusing his daughter and Young-nam tackles him to the ground. While they were taking stills of that scene, there was this shot that made it look like Young-nam is giving Yong-ha a hug from behind. We were joking about how, even now, that could be a sequel—Doohee-ya: The Second Chapter. [Laughs] We were having fun whenever we could. But what concerned us most, even before we started filming, were scenes involving Dohee and Yong-ha. Like you mentioned, these are physically and emotionally demanding scenes. I remember how professional Sae-ron Kim was throughout the shoot, saying stuff like, “I’m okay playing out these scenes where I’m beaten, so do whatever you need to do.” Ironically, that put us in trickier situations. It only worked because we worked as a team. I remember having a conversation with Doona in the car about wanting to be Dohee’s best supporters, everything considered. Doona, you’ve become quite well known on the international film circuit. What drew you to this first-time filmmaker’s project? D.B. : I’ve worked with a few first-time directors before. Mr. Joon-ho Bong was a first-time director when I worked with him on Barking Dogs Never Bite. In my life, there have been so many first-time directors and I loved working with them because there’s this real collaboration. First-time directors aren’t as experienced and they don’t really know their way around the set yet, which allows this close bond to happen with their actors. It’s actually not such a big deal in that respect to choose someone so new to the craft for me. I got this script while working with the Wachowskis on Cloud Atlas. Working on something so big, it reminded me of a time ten or fifteen years ago when I worked with first-time directors and really loving that experience. This was a really easy decision to make and I, of course, loved the script. Was this your first lesbian role? D.B. : It was, but I don’t think there were any intense scenes that required so much from me as compared to something like Blue Is the Warmest Color. I wasn’t so worried about the kissing because it isn’t so different from working with male co-stars. It’s essentially the same thing. For an actor, this isn’t a big deal. How open was July [Jung] to improvisation? Were you completely married to what’s written on the page? D.B. : I don’t think there was any improvisation. Maybe it was different for Sae-byuk. S.S.: It was almost entirely shot as written on the page. On the other hand, July was very open-minded to trying different things and welcomed unexpected things that could transpire on set. There was certainly room for improvisation if it made sense. D.B. : I don’t know if this was just with me, but she was very strict when it came to hitting the lines. [Laughs] There was no improvisation for the dialogue, but the subtle actions and the little details were open for interpretation. S.S.: It doesn’t mean we were stifled in any way, though. We were just asked to work within a certain parameter and make sense of it all.